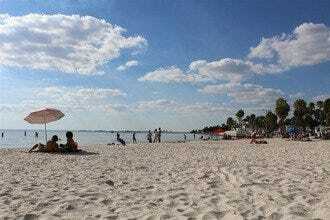 Visitors to Tampa will find a variety of romantic activities and attractions to enjoy during their stay. When you have beautiful sunsets and tropical breezes as your backdrop, it's hard not to feel the heat. Indoors or outdoors, day or night, there are plenty of things to do with your loved one, whether it's a special occasion or just some quality alone time. There is nothing more romantic than strolling hand-in-hand, especially if there are great views or intriguing wildlife as well. 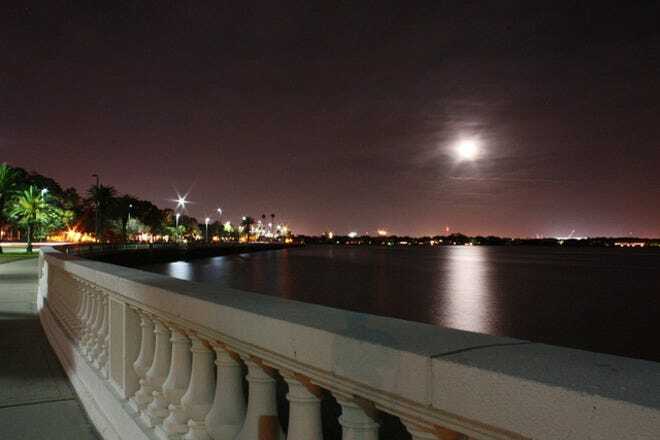 One of Tampa's best strolls is the Tampa Riverwalk. Showcasing many downtown attractions, this walk is a great way to get acquainted with the city if it's your first time. 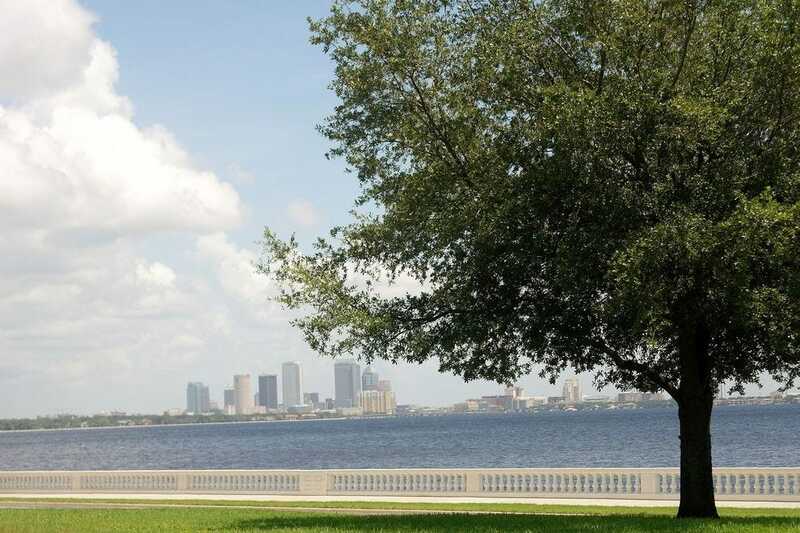 Along the way you will enjoy views of the Hillsborough River and Garrison Channel. Stop for a drink at the Sail Pavilion, then relax and watch the boats go by. 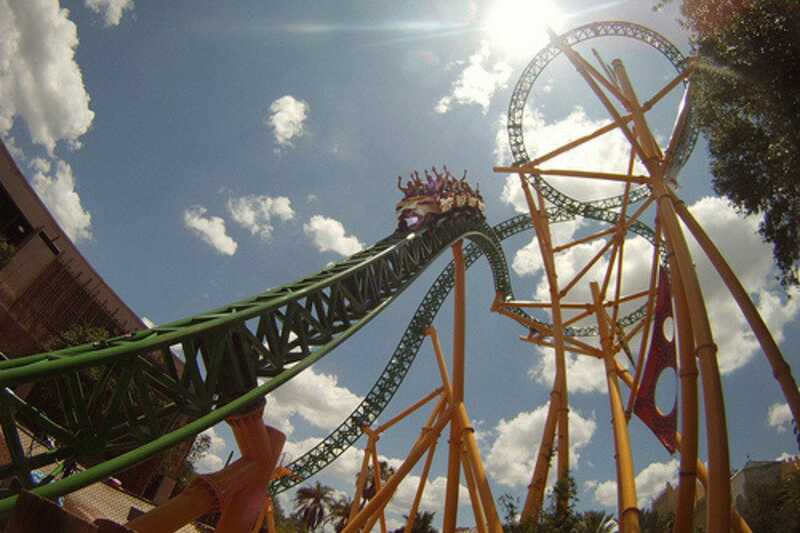 If you're looking for some adventure, then a day at Busch Gardens might be just the ticket. Featuring six of the country's most amazing roller coasters, there are more than enough thrills to experience. Slow things down with a romantic trip on the Skyride, providing panoramic views of the hundreds of animals roaming the 65-acre natural habitat. Built in 1891 by railroad magnate Henry B. 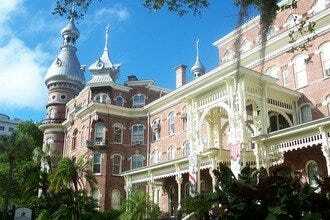 Plant, this history museum is located in what was originally the Tampa Bay Hotel, an extravagant resort that drew such guests as Teddy Roosevelt and Babe Ruth. 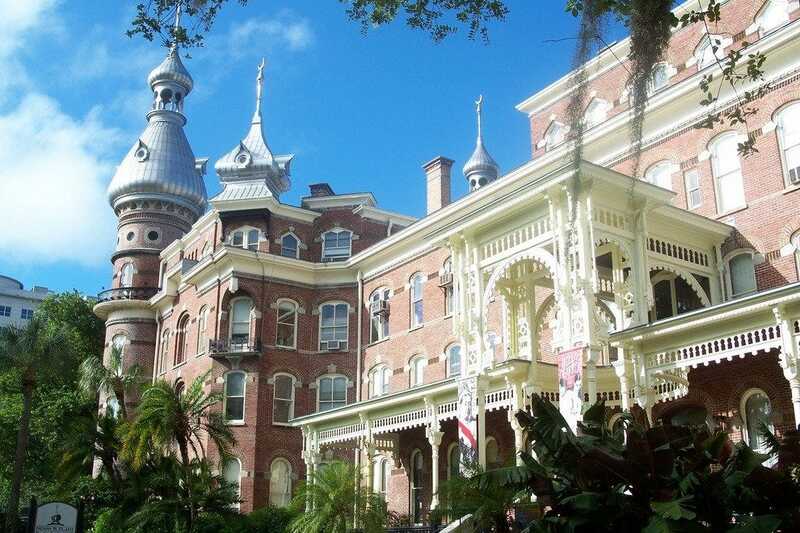 Now home to the University of Tampa, Plant's accomplishment is made all the more amazing when you realize that when it was built, the hotel was surrounded only by swampland. Now exquisitely restored, the hotel's striking minarets architecture, lavish furnishings and vibrant gardens provide a rare glimpse into the early years of Florida tourism. Sure, it makes returning to a modern-day hotel room a bit sad, but this Moorish beauty is a definite must-see. Yes, a sidewalk is one of Tampa's best attractions. Before you start with the jokes, this is a very special sidewalk. Running from just north of MacDill Air Force Base to downtown Tampa along Hillsborough Bay, the sidewalk that runs along Bayshore Boulevard is the longest continuous sidewalk in the US. It is south Tampa's unofficial gym, where at all hours of the day you can find many people walking, jogging, biking, and rollerblading down the nearly flat pavement. With the water on one side and some of Tampa's most expensive real estate on the other, the scenery can't be beat. 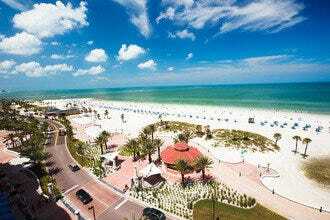 It's also the location of our most important celebration, the annual Gasparilla parade in late January. Bayshore is simply the city's most distinctive feature. 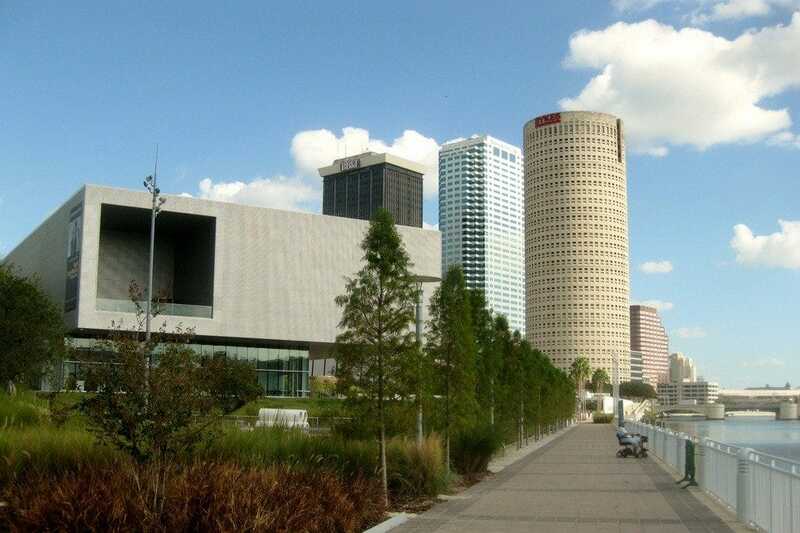 The Straz Center is Tampa's world-class center for the performing arts that hosts most of the area's major cultural performances. 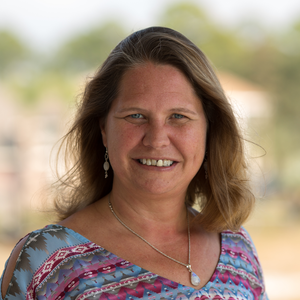 Here you can enjoy performances from the Florida Orchestra and Opera Tampa as well as popular music greats such as Lena Horn and the Isley Brothers. The Straz also hosts a full calendar of Broadway musicals. 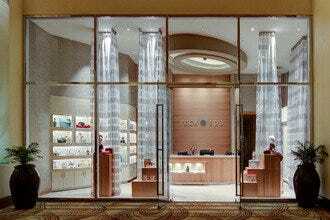 The facility is modern and beautiful with a variety of venues. The largest and most impressive is the 2,610 seat Carol Morsani Hall that features state-of-the-art acoustics and a 120 foot stage. In addition to another, smaller concert hall, the 268 seat Jaeb Theater can be set up cabaret style for more intimate performances. 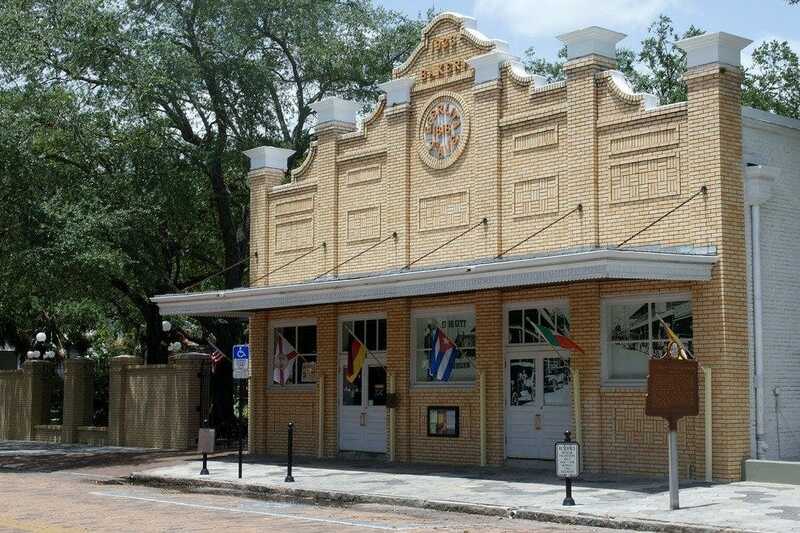 Built to preserve and celebrate Ybor City's colorful history, this museum is a highlight of any visit to Tampa's national historic district. Once known as the "Cigar Capital of the World," cigars were big business and had an incredible economic impact on the area. Housed in the renovated historic Ferlita Bakery, the museum boasts both temporary and permanent exhibits that illustrate how the immigrant cigar workers and their families lived and worked, creating a unique social life and community institutions. Outside you can explore the peaceful 19th-century-style garden and tour a "casita," representative of a typical cigar worker's home. Lettuce Lake Regional Park is located along the Hillsborough River about half an hour north of downtown Tampa. 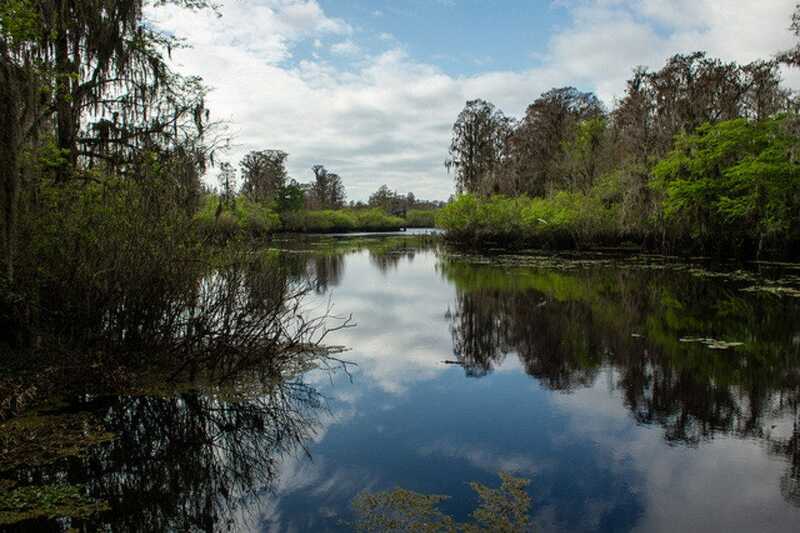 The river at this point is in its natural state, untouched by houses and development giving visitors a chance to experience natural Florida at its best. The park features 240 acres of wooded picnic areas, a playground and a paved path for bikes and joggers complete with a fitness course. 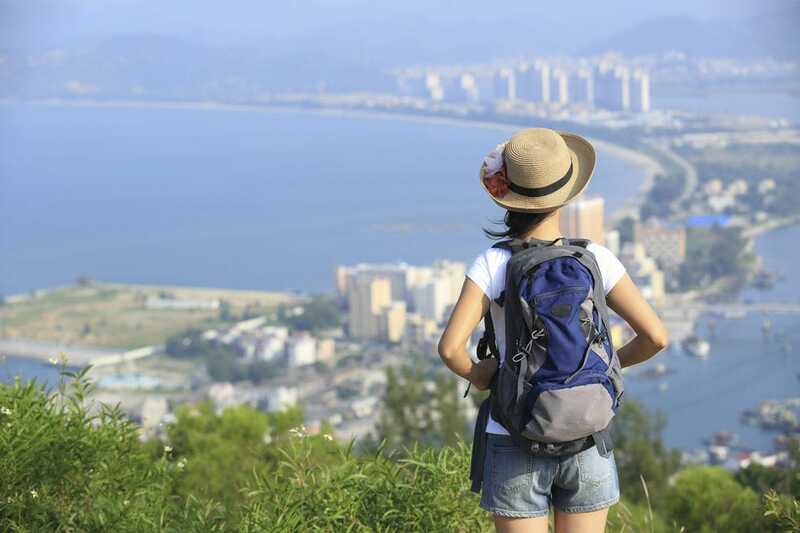 A haven for nature lover lovers and bird watchers, the park features an amazing 3,500 foot boardwalk and observation tower where visitors can view a variety of wildlife. Visit the interpretive center for exhibits on the local birds, vegetation, and animals. Saturdays and Sundays at 8:30am the park features a free guided nature walk. You can also explore the river by canoe and kayak as the features a boat launch and rentals. The Tampa Theatre is one of the country's best preserved examples of the elaborate "movie palaces" popular in the early 1900s. Outside, the Theatre is fairly non-descript save for the huge vintage red neon sign. But inside, visitors are transported to a beautiful Mediterranean courtyard surrounded by garden flowers and statuary while overhead stars twinkle in the night sky. Built in 1926 and saved from almost certain destruction in 1976, the Tampa Theatre is a treasured landmark as well as home to over 600 events a year. Some of the most popular events include film festivals, concerts by national acts, first run movie screenings, and a very popular WineFest. Visit their website for event details. 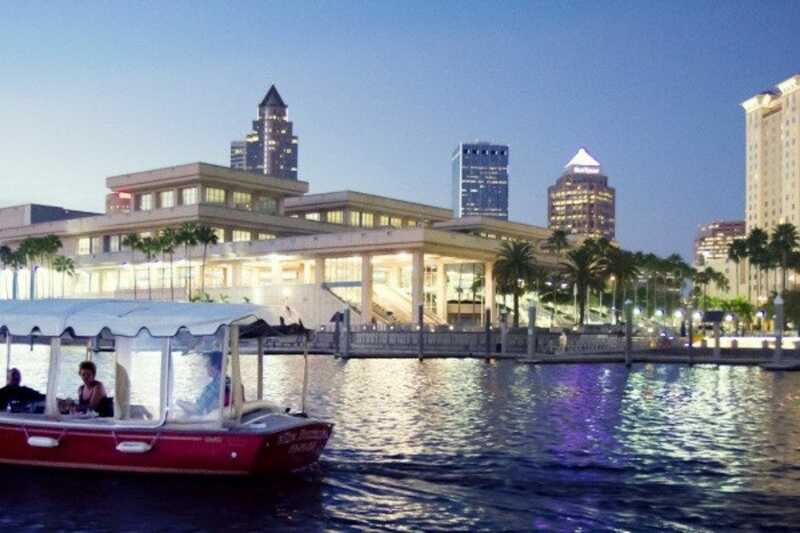 eBoats is an electric boat rental company that operates out of a kiosk on the docks in front of the Tampa Convention Center and Sail Pavilion. These 21-foot, electric boats are quiet, eco-friendly, come with a sun cover, and only go about 6 mph. They are safe and easy to operate for almost anyone, but if you have concerns, you can spend a little additional money and get a Captain to do the steering for you. Renting one of these charming boats is a great way to explore Tampa's harbor, feast your eyes on some of the largest and most beautiful houses in town, and to head up-river to explore the bridges, parks, and landmarks that line the riverbank. 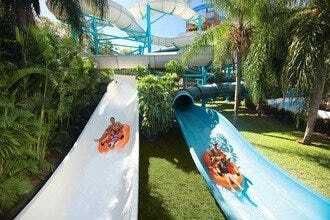 Wild animals and wilder rides await visitors at Busch Gardens Tampa Bay. The 335-acre Africa-inspired theme park's six infamous roller coasters, 2,000-plus animals and entertaining live shows provide truly unforgettable thrills. There is something for kids of all age at this world-class park. Adventure lovers can brave SheiKra, a floorless dive coaster with a 200-foot, 90-degree plunge while animal enthusiasts might enjoy hand-feeding kangaroos and wallabies at Walkabout Way or enjoying majestic views of free-roaming giraffes, zebras and white rhinos on the Serengeti Railway. Be prepared to walk in order to explore all areas of the park. There are several restaurants and numerous vendors throughout the park to keep you fueled on your journey. The Tampa Riverwalk is a scenic exploration of the downtown riverfront. A good place to start is the Straz Center for Performing Arts, however, you can join the walk from anywhere along the route (see their website for a map). 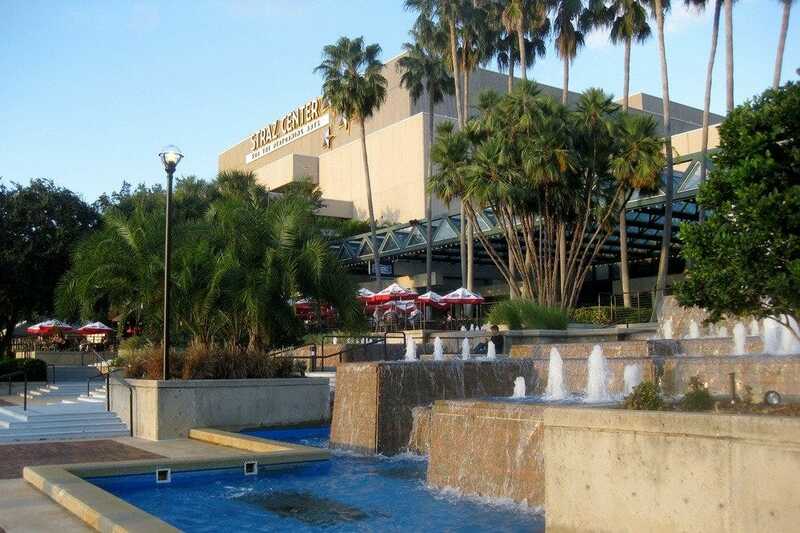 The Riverwalk takes you past most of the popular downtown attractions including the Tampa Museum of Art, Curtis Hixon Park, the Convention Center, the Tampa Bay History Center, and the Channelside Bay Plaza, before ending at the Florida Aquarium. 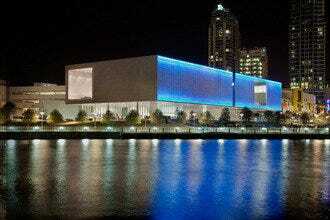 Along the way you will pass interpretive exhibits highlighting Tampa's history and numerous public art exhibits. 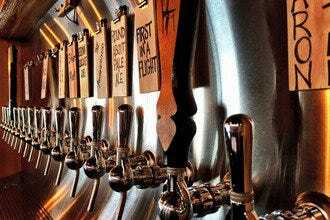 The path is almost 2.5 miles long, but there are plenty of spots to stop for a rest and grab a drink or a quick bite along the way.